In the first of our new ‘Stories from the archive’ series, Alexandra Coghlan and Julia Aries take a look back at the building of the new opera house, which opened its doors 25 years ago. 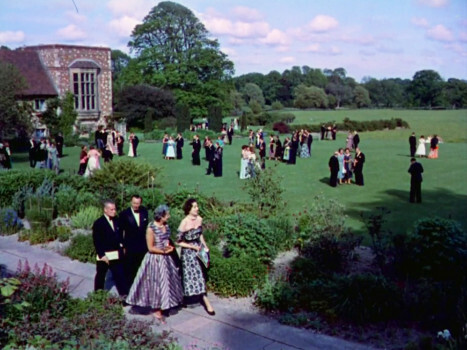 On 28 May, 1994, Glyndebourne welcomed the public into its brand new theatre – the first purpose-built opera house in the UK since Glyndebourne’s original auditorium – for the very first time. The project to replace the festival’s small and increasingly challenging space with a genuinely modern technical and architectural one had been many years in the planning. This month’s objects from the archive all tell stories from both the rebuilding and reopening, as we celebrate the 25th anniversary of Glyndebourne’s new theatre. 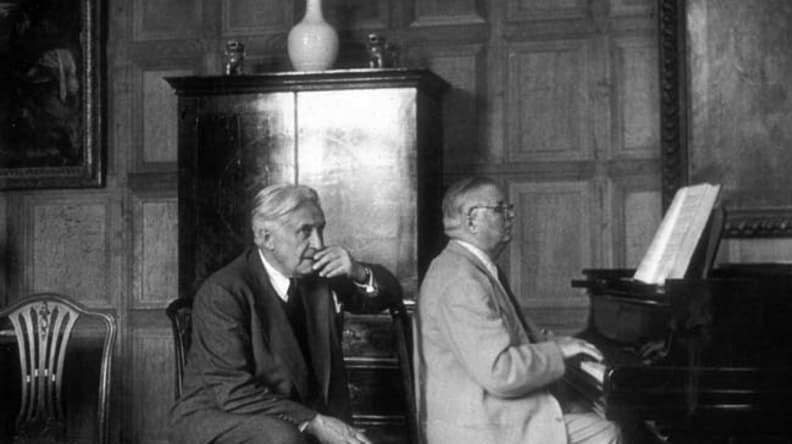 George Christie was the driving force behind Glyndebourne’s new theatre. He first announced the project – ‘a twinkle in his eye’ – in 1987. After that came several years of turning a hope into a reality, and raising the necessary £93 million. 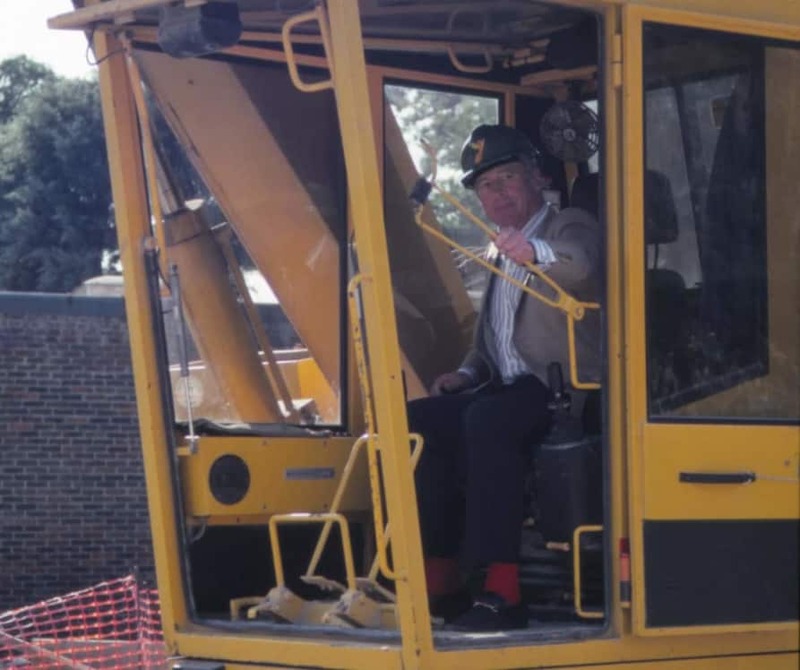 When the process actually begun Christie took a very hands-on approach, never happier than behind the wheel of a machine helping to demolish the old theatre. Christie loved seeing the plans come to fruition, and was happy to see the transformation and reinvention of a building that was so loved by so many people, and imbued with all those decades of history, but so unfit for twentieth-century use. 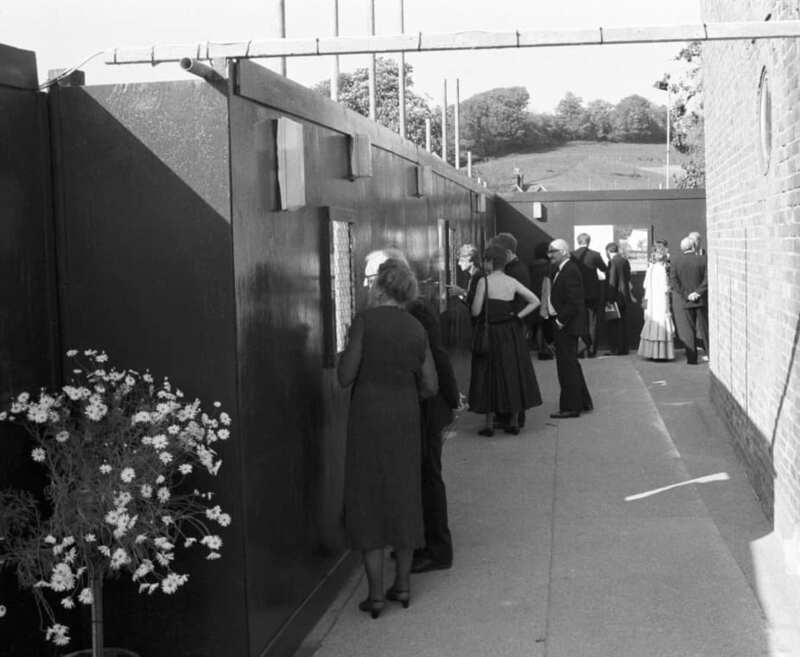 All Glyndebourne staff found themselves involved in the rebuilding of the theatre. 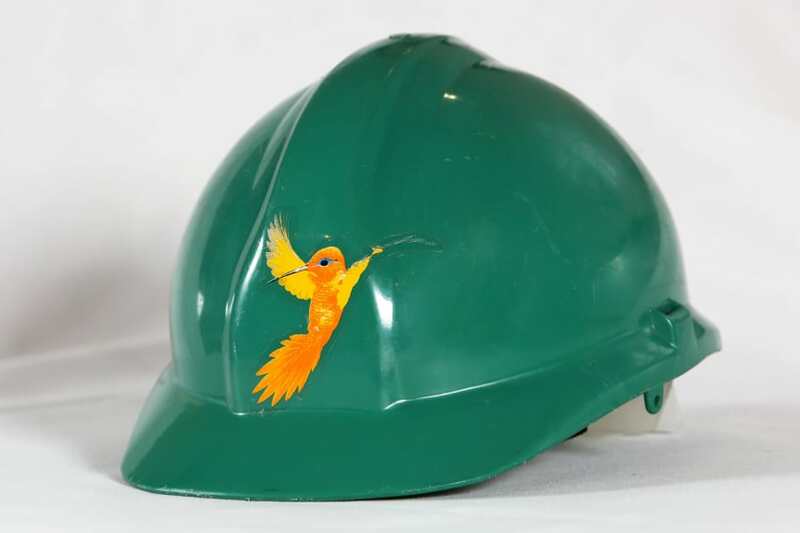 Any time you left your building during those years of construction you had to wear a hard hat – everyone had one, including the Christie family. The work actually started during the 1992 Festival. While audiences were attending a performance in the old theatre, the builders were hard at work digging an enormous hole behind it which would eventually become the new rehearsal stage. There was hoarding all around it with little ‘windows’ cut out, so the audience could see in and keep track of the progress. Just two weeks after the final gala of the 1992 season the entire theatre was flattened. There would be no opera at Glyndebourne itself in 1993 (although the company did perform a short season at London’s Royal Festival Hall). The new theatre was officially opened in 1994 with a brand-new production of Mozart’s Le nozze di Figaro. 25 years later and almost nothing has changed; the essential structure and fabric of the building remains almost exactly as it was. A costume bible from Stephen Medcalf’s 1994 Le nozze di Figaro – the first production to be staged in Glyndebourne’s new theatre, with beautiful eighteenth-century designs by John Gunter. 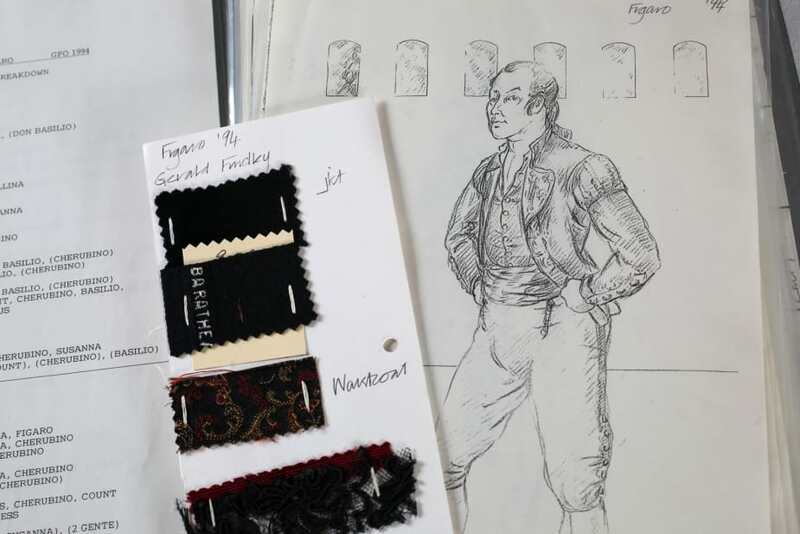 It’s something we create for every new Glyndebourne production, and includes not only all the costume designs but also swatches of fabrics, sketches, supplier lists and measurement charts for the singers. 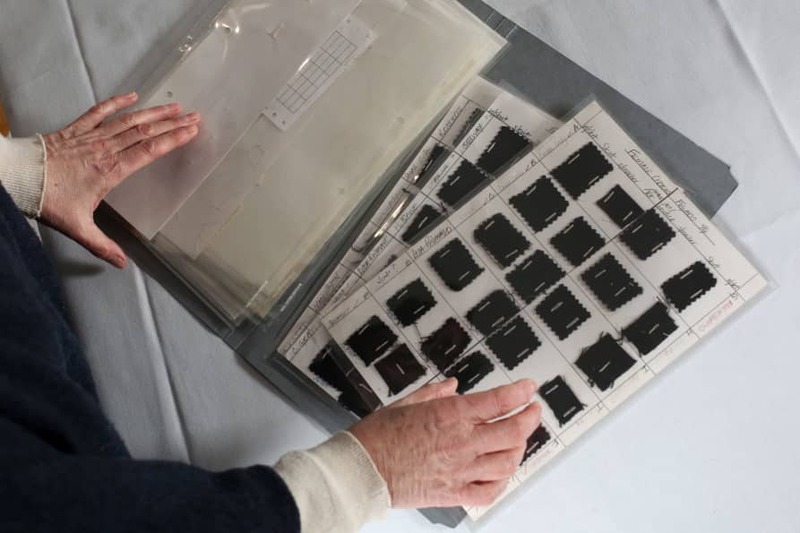 A wonderful record of historical productions (especially those only documented in black and white photographs), the costume bibles are also invaluable working documents during the rehearsal process. You can see exactly how a design has evolved, for example – how a sleeve shape has changed, or a neckline altered. Glyndebourne still makes all of its own costumes on-site, and you can see the level of detail that goes into the process in the costume bible. Figaro included a ladies chorus in black skirts. Flick through the ‘bible’ and you’ll find some ten different fabrics – all solid black, but very subtly different in texture or sheen or material, creating essential, if almost imperceptible, variety and visual interest. When we rebuilt the opera house in 1994 we installed backstage systems that put us at the forefront of theatre technology. It has now been 25 years since this major upgrade, and some of the equipment we use is no longer at the cutting edge. 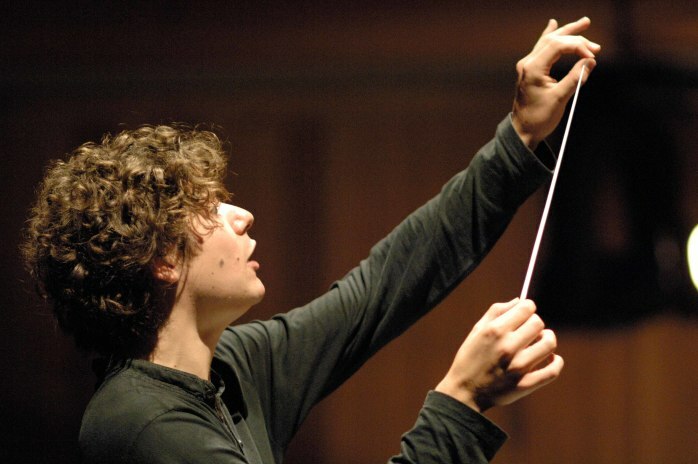 In order to stay at the pinnacle of what can be achieved on stage, we need your help to complete an essential upgrade. In the 25th anniversary year of the new opera house, your donations to our Annual Fund will ensure that we can continue to create world class opera in the most efficient, safe and effective way possible.